Chicago Pneumatic, international manufacturer of professional automotive and industrial tools, announces that Philip Warmbier has joined the team as Business Line Manager in the company’s U.S. Headquarters located in Rock Hill, South Carolina. Warmbier will direct the Chicago Pneumatic Tools sales teams in the North American territory, which includes the United States, Canada, and Mexico. The team services industrial and vehicle service clients. 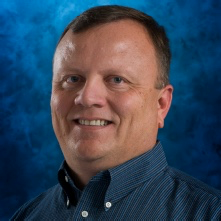 “I’m looking forward to working with the Chicago Pneumatic team to further expand into industrial applications,” said Warmbier, who brings nearly 20 years’ experience in the industrial tools sector, automotive engineering, global sales and marketing, and business strategy development. General Manager Mark Johnson said Warmbier’s experience will further enhance the Chicago Pneumatic customer experience. A Midwest native, Warmbier holds a degree in communications and business management from Concordia University of Chicago, and an MBA from Marylhurst University near Portland, Oregon. He and his wife Wendy, a former colleague in his industrial career, have been married nearly 20 years. They are the parents of 5 daughters, including one in the U.S. Air Force.